Brief Profile: I’m a technologist, founder of an wonderful technology company, non-executive director of others, and a restless entrepreneur with a passion for creating feedback loops between innovation and teams and revenue streams, applying new and old business models to changing industries, and pushing people to do the very best they can do. 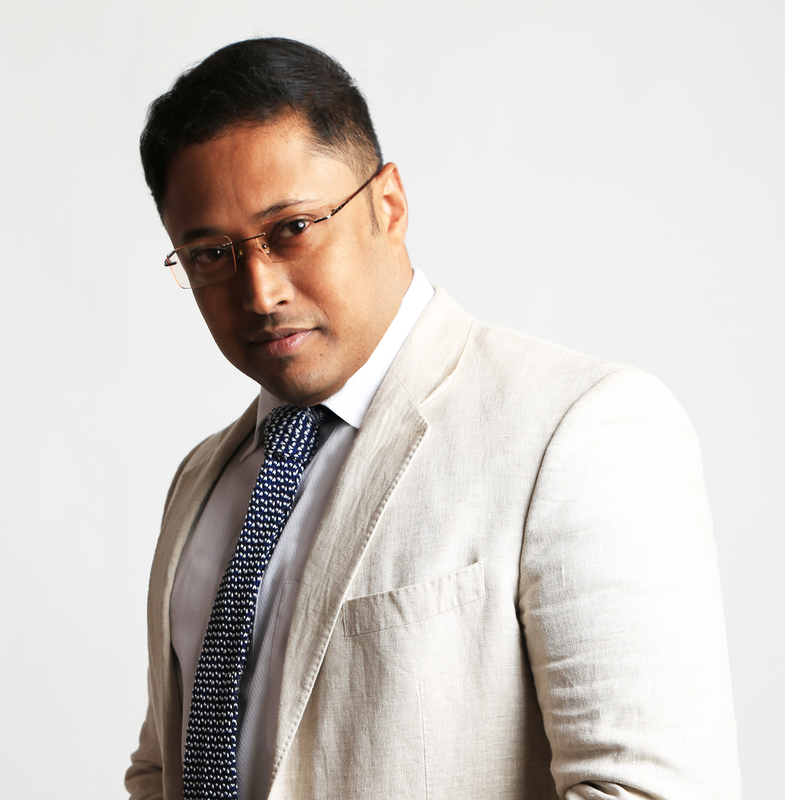 Brief: Entrepreneur , Investor, Game Developer, Movie, Film Producer, Ad House owner, Mentor, Artist Founder – virtualinfocom, India Co-Founder-Sportszonein, India Managing Partner-virtualgamedeveloper, UK Founder: cosplayseller & Partner : ECRS Co-Founder- Magma Events Solution, India Founder imsuperhero Founder animationreviews Co- Founder glamworldface Founder computertrainingindia Founder animgaming Co_Founder entrepreneursface/ Angel Investor, Mentor, Technologist, Speaker, Adviser. Charter Member: TiE, Rotary, CII, ELMA, PRSI, Bong Entrepreneurs, Founder Institute, iCare, Tribeimpact Investors http://twitter.com/virtualinfocom http://in.linkedin.com/in/arijitbhattacharyya WHAT I DO AND MY EXPERIENCE An entrepreneur for over 19+ years, Arijit Bhattacharyya is the founder of Virtualinfocom, India's first game development education institute & one of the first game development production company headquartered in Kolkata. Founder of India’s first B2B portal on game development, Portal on online exam and tutorial, India's first e-commerce portal on cosplay. He is the creator of India's one of the first 3D games based on mythology and culture. He is an active advisor and speaker in cyber security New Delhi forum for cyber crime and security. R & D partner & creator of of Virtual Reality solution since 2001 which has been published in several International Platforms. He is creator of India’s one of the first Virtual Reality training institute and maker of Virtual Reality lab in UAE. He is the creator of Virtual Reality lab in Mumbai with SP Jain institute and maker of the structure of the syllabus. Speaker: For the last several years Arijit is speaking in various national and international platforms about game development, virtual reality, and scale up business, wealth management, startup ecosystem and IP. Example: National Entrepreneurs Network, TiE, CII, China VR Film Festival, Good Game Show (Korea), Passion for game (Singapore), Startup Saturday, IIT EDC, IIM Innovation Lab, Digimation-UK, FICCI Frames, Franchise india, NAB China, Xian Film Festival- China, Children Film Festival etc. He is also Corporate Advisory Board Member of few Universities in India. Advisor of three animation and gaming institute in Russia, UK and India. He is the creator of India’s one of the first 3D games based on mythology and culture. For the last several years Arijit is speaking in various national and international platforms about game development, virtual reality, and scale up business, wealth management, startup ecosystem and IP. Example: National Entrepreneurs Network, TiE, CII, China VR Film Festival, Good Game Show (Korea), Passion for game (Singapore), Startup Saturday, IIT EDC, IIM Innovation Lab, Digimation-UK, FICCI Frames, Franchise india, NAB China, Xian Film Festival- China, Children Film Festival etc. He is also Corporate Advisory Board Member of few Universities in India. Advisor of three animation and gaming institute in Russia, UK and India. He is the creator of India’s one of the first 3D games based on mythology and culture. Chamber of Commerce Involvement: He was the past Secretary TiE Kolkata - 2014. Steering committee member of CII East President and Board of Trustee of Bong Entrepreneurs Vice President of ELMA Advisor and Mentor of Startup Pad Indian Chamber of Commerce . Board member of Industry Institute Partnership Cell in B. P. Poddar Institute of Management & Technology Speaker / Moderator in FICCI Frames 2017 in VR/ AR Panel. Leader, Adviser- ICC Startup Pad, Indian Chamber of Commerce. Active Rotary Member. Leader - Google Business Group- East Creator of Startup-hub in PRSI Corporate Advisory Board Member 1. Ramoji Film City University 2. BP Podder, India 3. Digimaion, UK 4. NEN INDUSTRY INVOLVMENT He was the Hony Secretary TiE Kolkata. Advisor MSME and SME business owners to structure the organisation. Helping DIC Govt officers. He is also Corporate Advisory Board Member of few Universities in India. Advisor of three animation and gaming institute in UK and India. He is one of the populer Mentor in India and do help startups since 2005 till date. A very populer public speaker. Founder of BE the entrepreneures from Bengal. Executive committee member of ELMA, Member of CII East, Charter member TiE. He is the creator of India's one of the first 3D games based on mythology and culture. He has been invited as a resource person by various institutions from time to time like IIM , IIT, XLRI, VSSUT University, ICAI, NSHM Knowledge Campus, Bengal Engineering & Science College, Indian Institute of Foreign Trade, Praxis Business School, Manipal University, Globsyn School of Business, SRM University, Poornima University, Camilia Group of colleges, iLead, IEM, BP Podder, Heritage Institute and so on. Investment Relation: Core committee member of NRI Startup India, VC Fund based in USA Advisor & Managing Trustee of VC Fund based in Middle East. An angel investor with eight company as portfolio and took exit from three till date. Member Intellecap Impact Investment Network (I3N) Achievements, Creation & Industry Involvement 1. Star Enterprise of the year 2011 award 2. Achievers and innovator award from Education Minister in 2012 3. Top 10 Asian company from Red Herring in 2012 4. One of the Judge for “Dare to be Digital” for the game development competition at UK. 5. Judge & mentor in IIT, IIM, XLRI,JU etc approx 25 Universities & Startup Hubs in India. 6. Writer of Books on Animation and Game Development. 7. Creator of First Hindu Mythological Game Mahabharat. 8. Writer of comics such as Archer, Mahavir, Nutron, Haglu. 9. Creator of first Indian Gaming Club. 10. Started First Indian Cloud based Classroom on Mobile Apps, Animations, Game Development. 11. First Indian Game Store on resources. 12. Advisory board and course content creator of two Animation college in South India. 13. Best game development institute in 2010 14. Creator of Tech-Art concept in India – CSR activity through which 36 odd family became Entrepreneur. 15. Supporting the cause of bootstrapping and running the cause of mentoronroad in East India. 16. In 2008 he became mentor for " TATA UDUYOG PARBO " a joint initiative with NEN 17. Adviser of Different Animation Colleges in India 18. Writer of Books on Animation and Game Development 19. Started First Indian Cloud based Classroom on Mobile Apps, Animations, Game Development 20. Member of NEN Entrepreneurship Educator Panel 21. Mentor and Judge at CIIE, Power Of Ideas 22. One of the Judge for Entrepreneurship drives in iStart, different Business plan competitions. 23. Key note speaker in various trade body & Industry 24. Copyright on Virtual Reality Simulation medical segment solution 25. Copyright and IP on 3D Model making software which translates 2D drawing into 3D polygon. 26. Co-producer of films based in VFX in Spain and France 27. First company to make characters using real people, made as avatar and used in games.